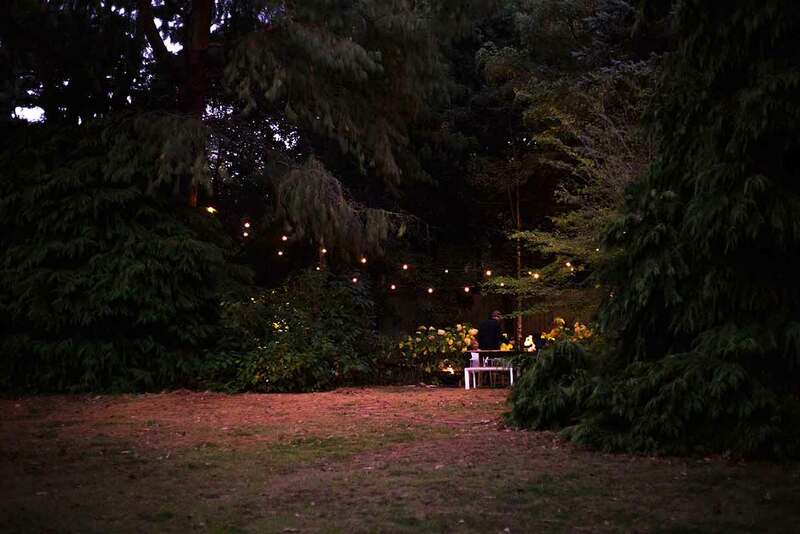 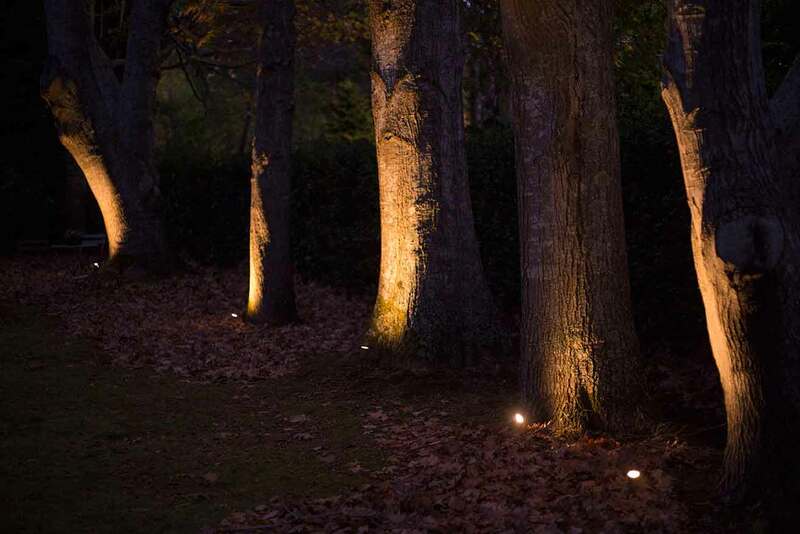 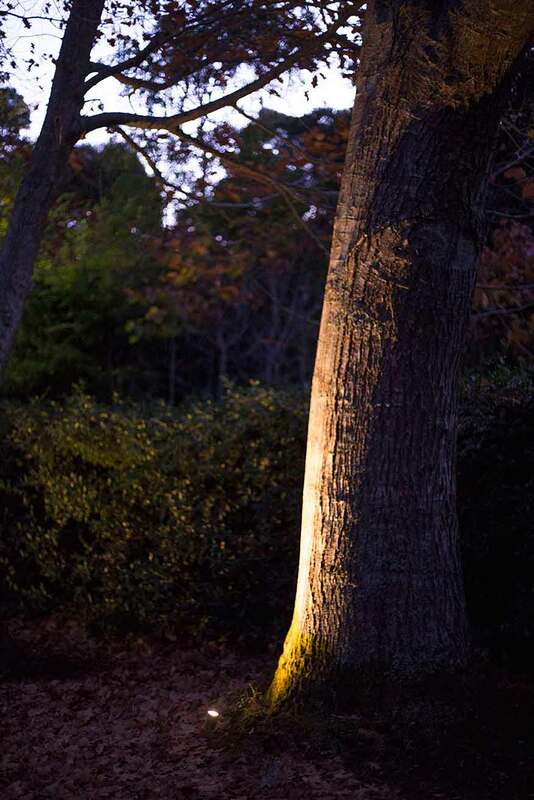 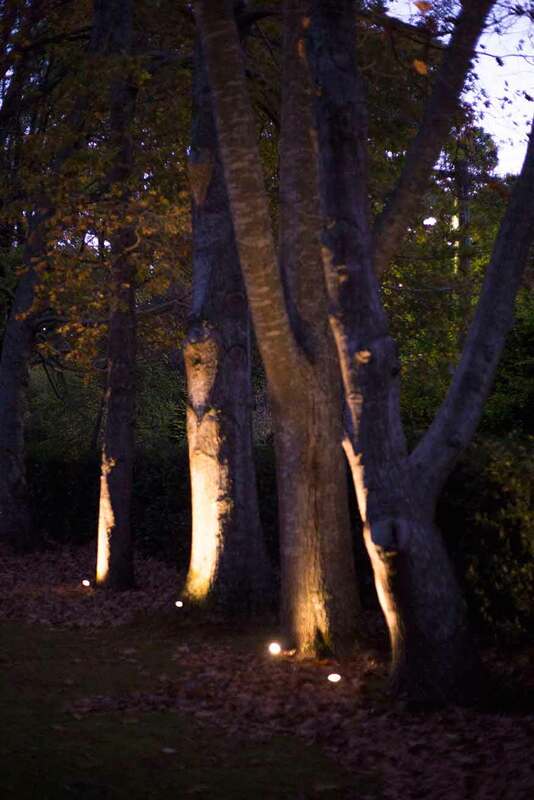 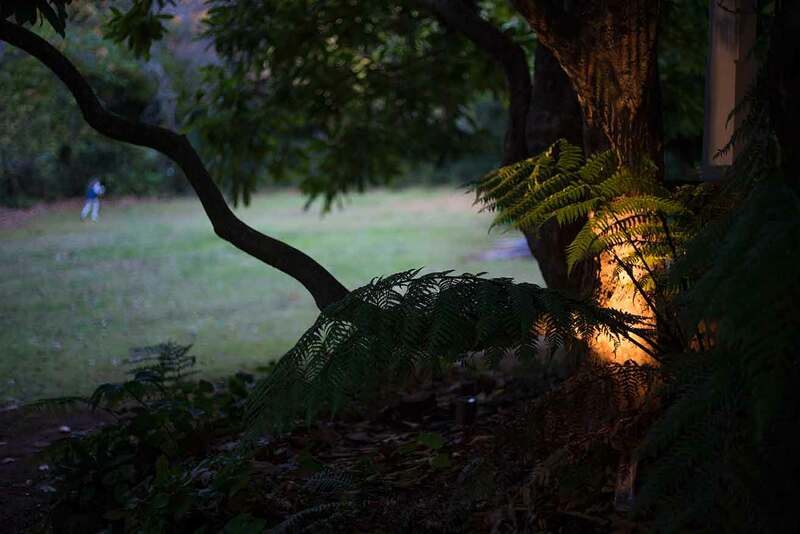 Our Melbourne electricians installed the landscape garden lighting of this beautiful property in Mount Macedon. 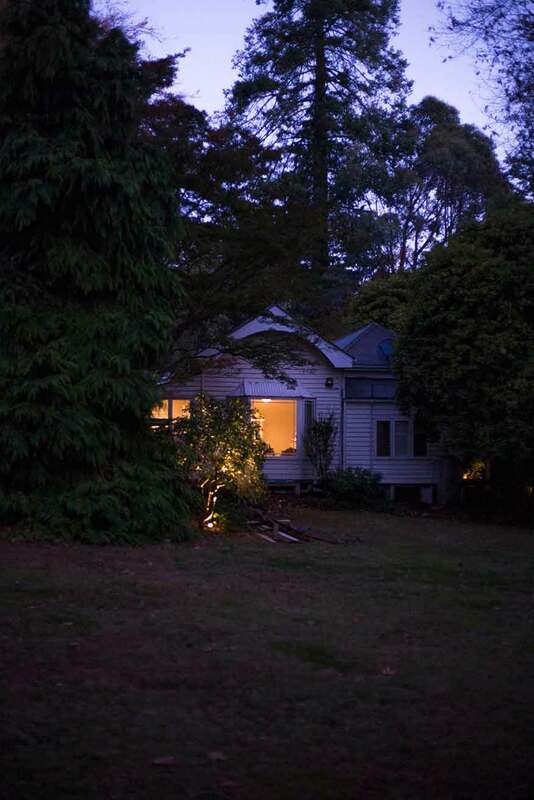 The owner made the recent tree change out to Macedon and wanted to enjoy the beautiful gardens and bush even after sunset. 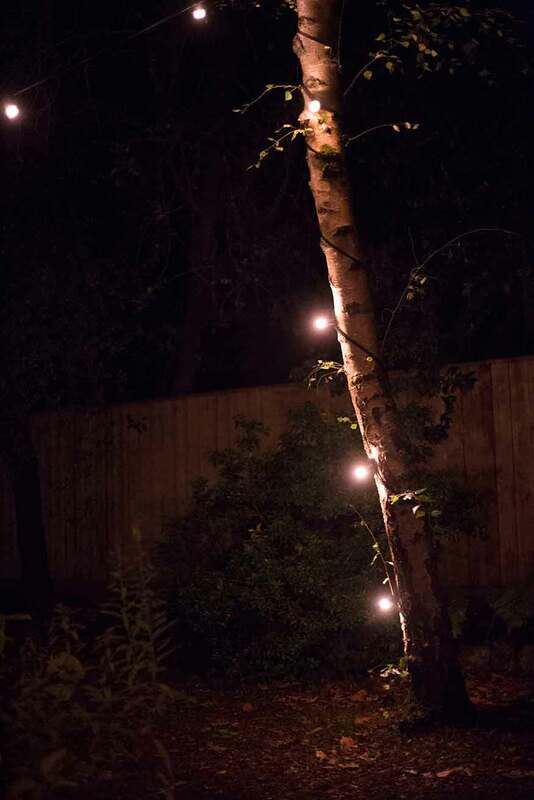 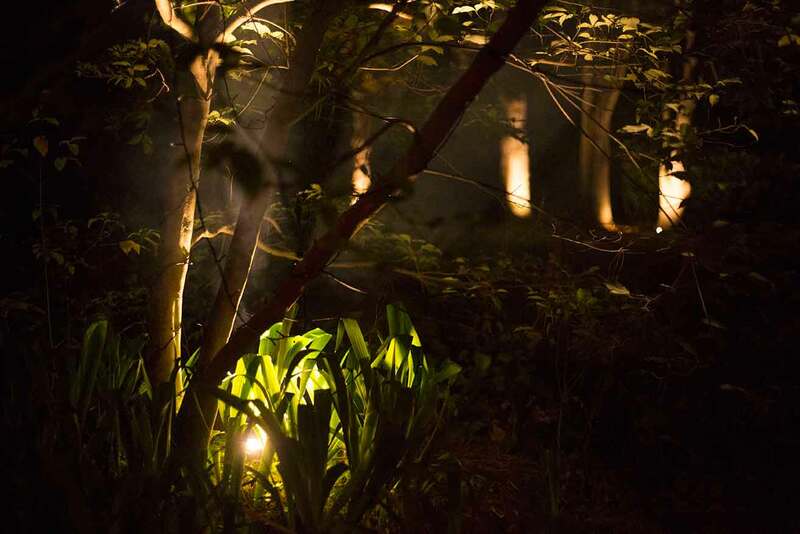 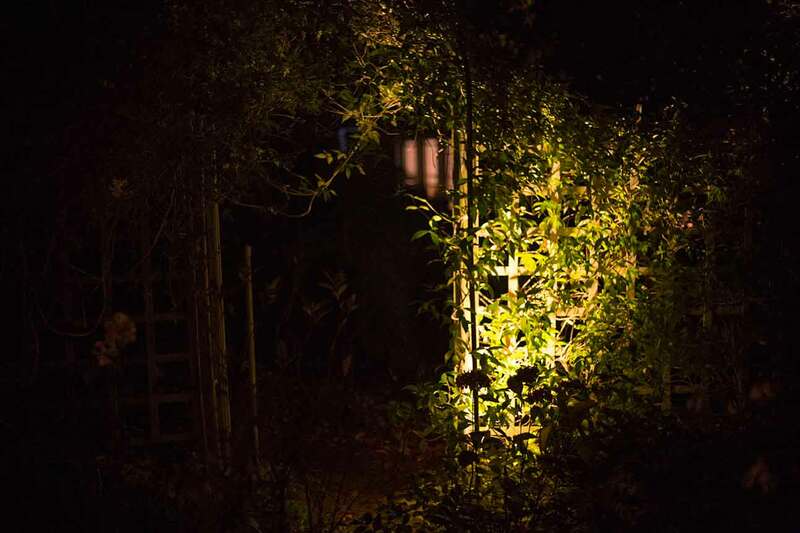 Being surrounded by nature means the darkness really sets in so we were called to come and creatively light up the garden. 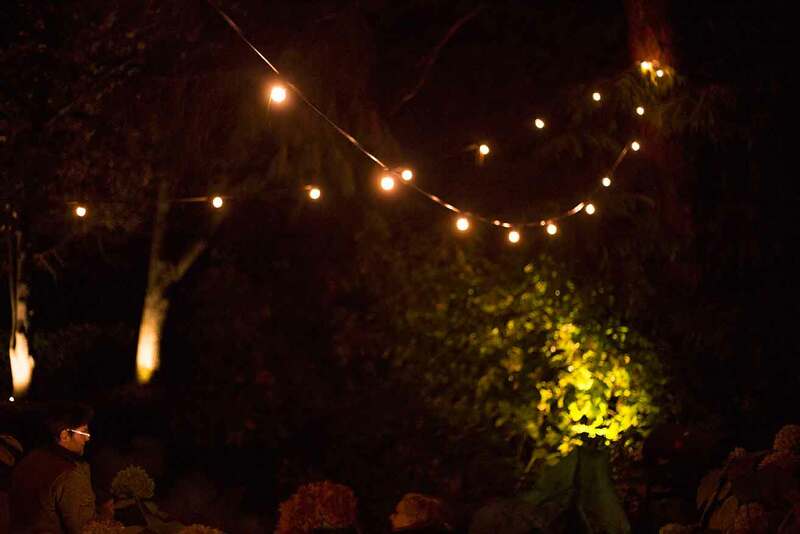 We believe that ambiance is important and sets the mood for outdoor entertaining. 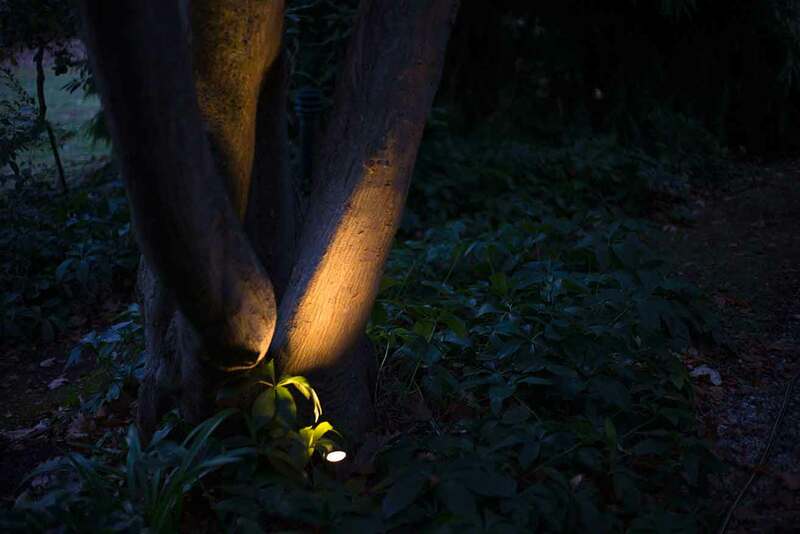 This is best achieved by using lighting creatively and indirectly, rather than using harsh direct light. 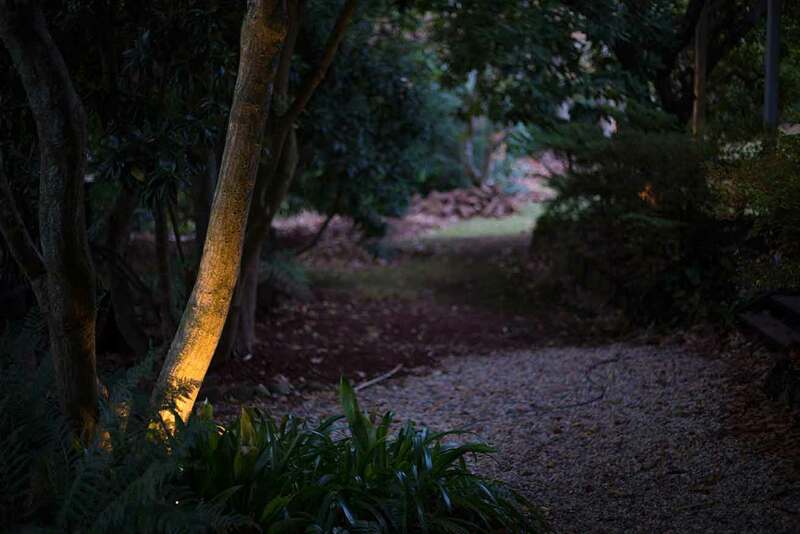 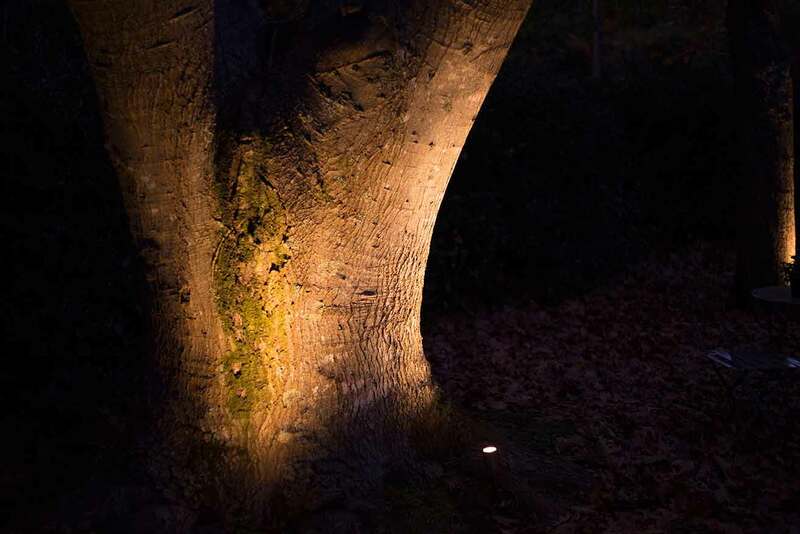 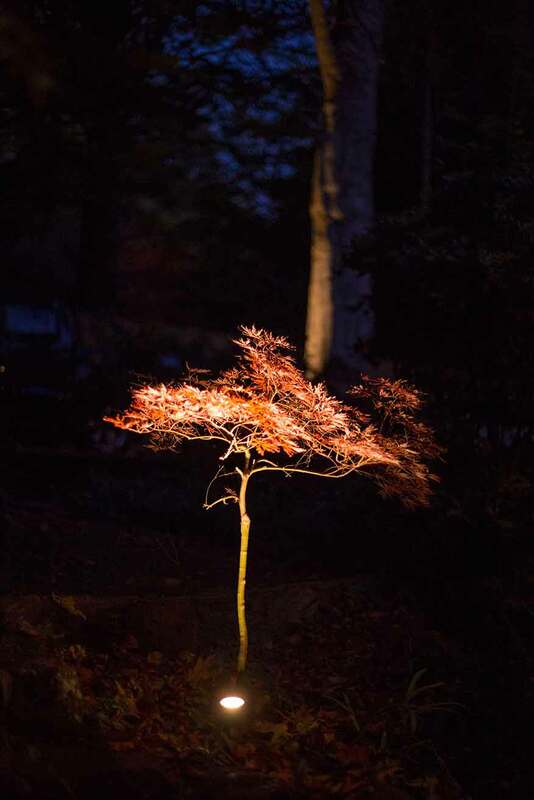 We directed copper spike lights upwards through the branches of trees and shrubs to create awesome shadows, whilst also casting a glow on surrounding pathways. 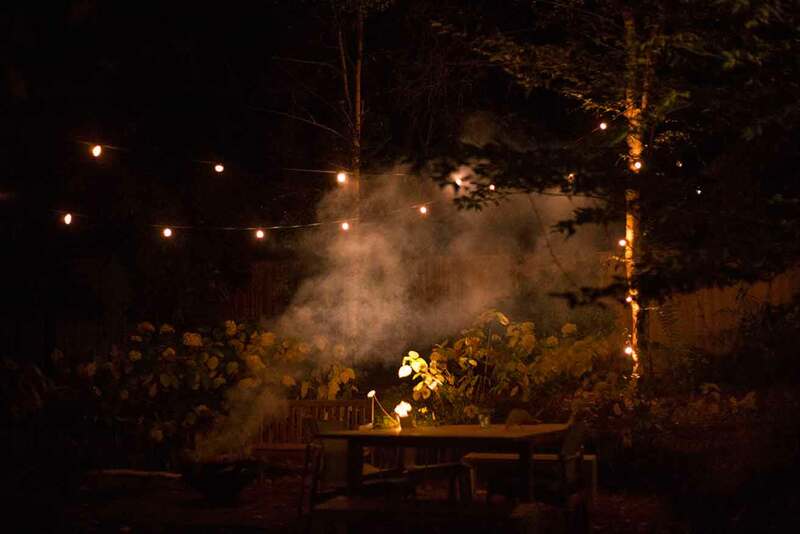 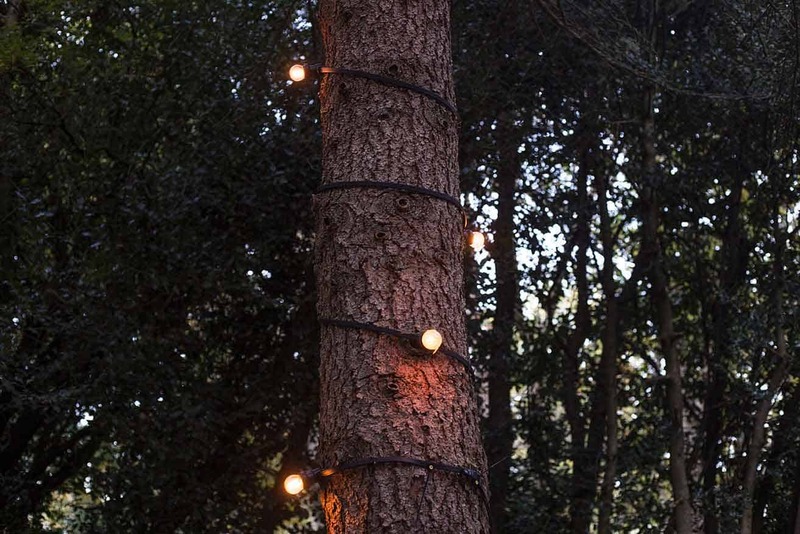 Outdoor festoon lights were installed over the outdoor fire pit and table setting, as well as wrapped around nearby trees. 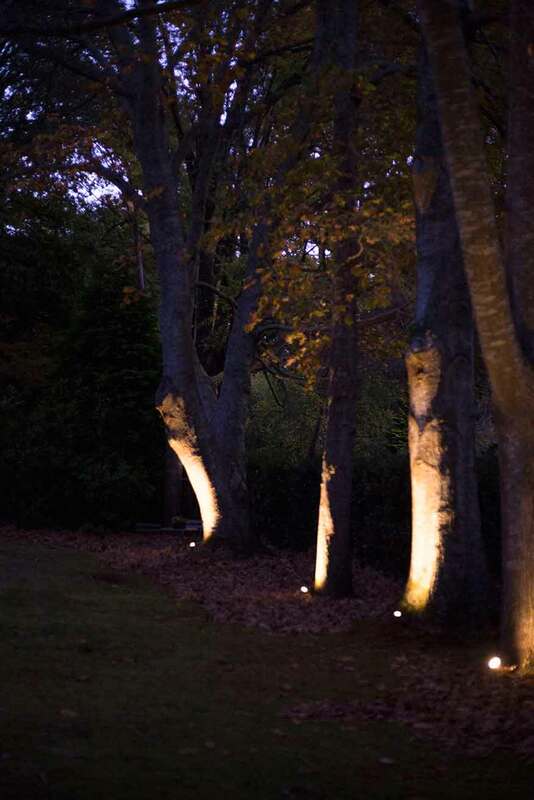 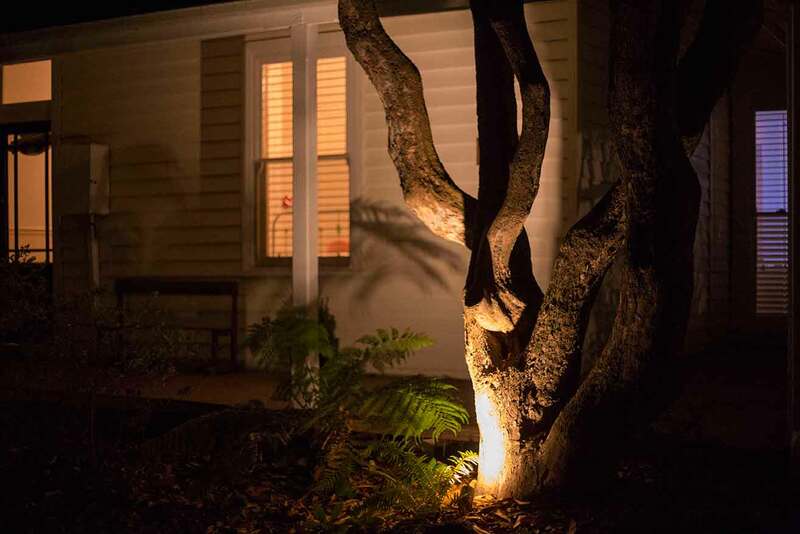 All of the outdoor lights that we installed were connected to a lighting automation system so that the owner can set automated schedules for particular times of day as well as control them from his mobile phone.